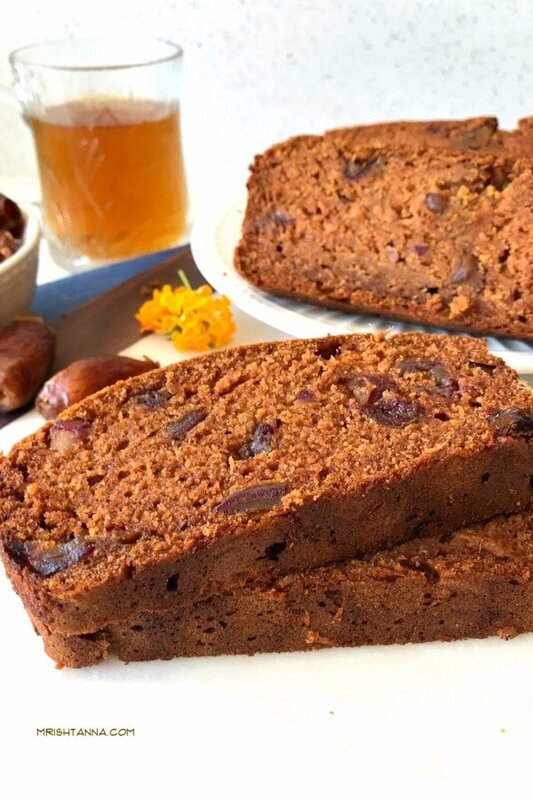 Today, I want to share this exciting new recipe for Mango Dates Cake Bread! It is a tribute to sliced bread in a way that it redefines bread as a genuine pair with coffee with the sweet notes from dates and mango. I like to cook and bake mango recipe during its peak season and we are fast approaching the peak in the next few weeks. Mango is not a rare ingredient in Simple Sumptuous Cooking. I have posted several recipes with mango in the past and you can check them out here. Todayâ€™s recipe is a modified version of mango bread recipe that I shared exactly a year ago. 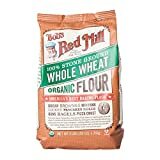 I am replacing the organic sugar with dates and all-purpose flour with wheat flour. There is no compromise in the luscious moist flavor or the aroma from mangoes. 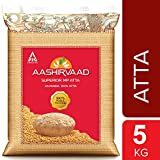 It has a perfect balance of fluffiness and density, with a golden hue that brightens up dining tables! For more delicious vegan recipes such as this sent directly to your inbox, just subscribe to my newsletter. You will also get a copy of my e-bookÂ where I have put together some simple vegan dessert recipes and dessert essentials. My readers have found it very helpful and I am hoping you will too! 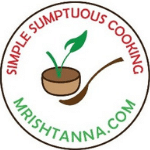 Here are the recipe detailsâ€¦. 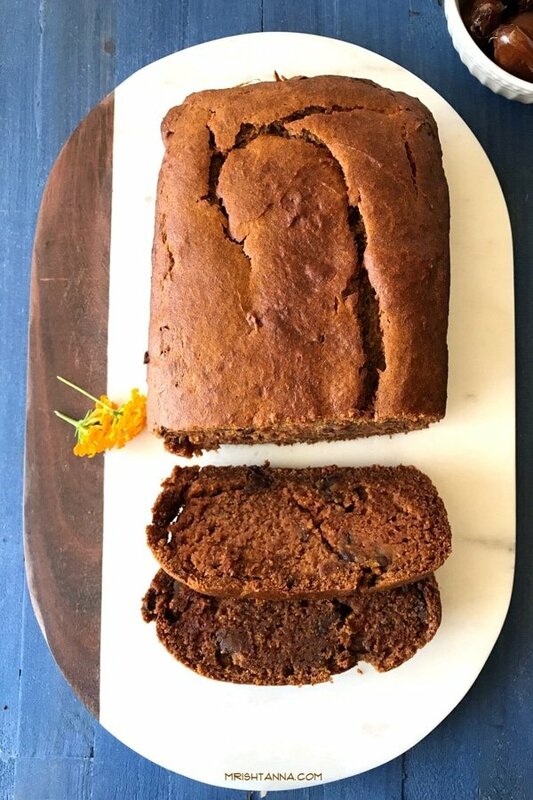 Today, I want to share this exciting new recipe for Mango Dates Cake Bread! It is a tribute to sliced bread in a way that it redefines bread as a genuine pair with coffee with the sweet notes from dates and mango. Preheat oven to 355 F. Grease the pan and line with parchment paper. Blend the mangoes and date paste together to smooth paste consistency. Add oil, vanilla extract and flaxseed meal mixture (3 tbsp flaxseed meal and 9 tbsp warm water). Add sugar if the mangoes are too sour. Mix the dry ingredients (flour and baking soda) in a different bowl. Add the wet and dry ingredients together and mix gently to get an even mix. Add the chopped (pitted) dates and give them a nice stir. Pour the batter into the loaf pan. Bake for 50 minutes or until a toothpick inserted, comes out clean. Let the bread cool down completely and slice it to your serving size. Serve it warm and pair it up with a hot cup of coffee! If you end up with sour mangoes, you may have to add a little sugar to the mix. Wow.. mango bread sounds interesting.. never tasted one. Mango dates cake looks awesome. I can feel the taste and flavour. I wish I could taste a slice. Awesome share. Those slices looks absolutely stunning and alluring. Feel like having some slices rite now. What a beautiful bread there, well done Uma. That is such a soft and yummy looking mango bread Uma. 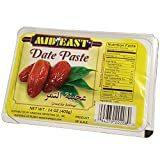 Love the addition of dates in the recipe. Mango bread is one of my favorite – will try this recipe out some time. Mango and dates. Lovely combination! The fact that I can make this sugar-free is another bonus. Drooling over the ingredients, recipe and the pics. Delicious share. 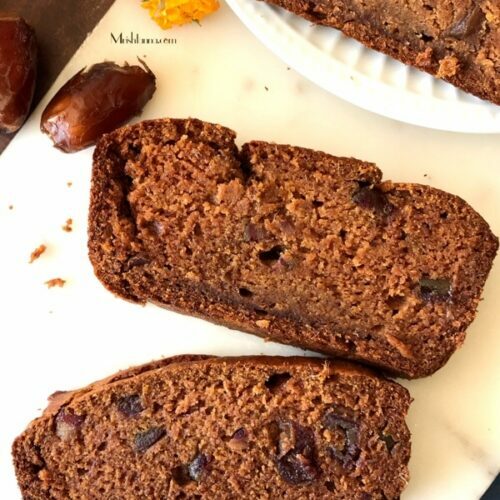 Amazing bake here, love the combo of dates and mango. I do need to try this one. 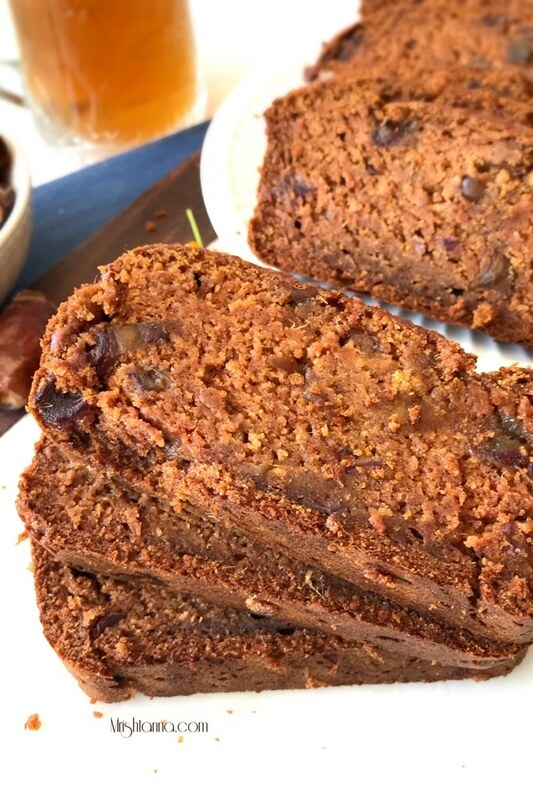 Mango dates cake bread looks awesome…All my favourite ingredients in it…Yummy share!! Two of my favourite fruits in one recipe, I’m sold! Such a beauty that is, perfect with a cuppa.